I really enjoyed his debut novel Mosquitoland. It’s a great contemporary YA novel. This book just sounds SO GOOD!!! This is the kind of contemporary YA novel I feel like I will enjoy because of FRIENDSHIP AND FALLING IN LOVE and from the cover it looks like there are some POC so yay for that. 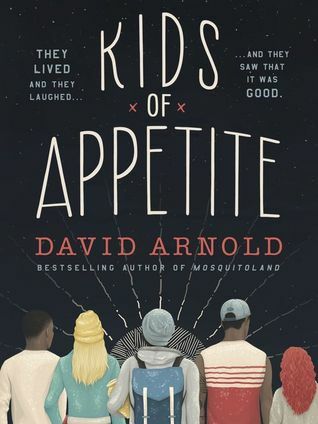 Will you be reading Kids of Appetite? Since it’s out this month I will hopefully buy it when I get Crooked Kingdom by Leigh Bardugo on 27th September.